Some years ago, while volunteering as a class instructor for Junior Achievement, I asked the students “Why is money important?” and the general response was “To help you fit in.” When I pressed on asking “Why is it important to fit in?” I was met by blank stares. I’m reading this phenomenal book, The Righteous Mind: Why Good People are Divided By Politics and Religion. Which group (or groups) you’re trying to fit into and impress affects your financial choices. You may be especially confused and challenged if you’re trying to fit into two different groups with two different (even conflicting) value systems (such as caution and entrepreneurship). Some groups value accomplishment, others value prudence/caution, and still others value consumerism (which is probably why so many people are deep in debt). These and other value systems direct our financial choices, possibly on a subconscious level. I had an interesting conversation with Patricia Mancabelli, a business attorney who said that she counsels high school girls that “The single most important decision any young woman will make regarding success in any career is in choosing her significant other.” It is important to consider what that relationship can and will do to enhance or detract from your career. The romantic part is exempt in the case of arranged marriages, which are still the norm in India (which, along with other Eastern countries have cultures that are more group-focused versus Western countries that have more self-focused values systems). I don’t think arranged marriages are always a bad idea. if they didn’t like him, I wouldn’t be seeing him again. After many failed romances that I thought would lead to marriage, I knew that my radar was essentially broken and that my seeing-the-best-in-people personality didn’t lend itself to choosing a good partner. But Mother’s always right. She and Dad loved my Paul and that gave me permission to fall in love with him, which I did on our 3rd date. 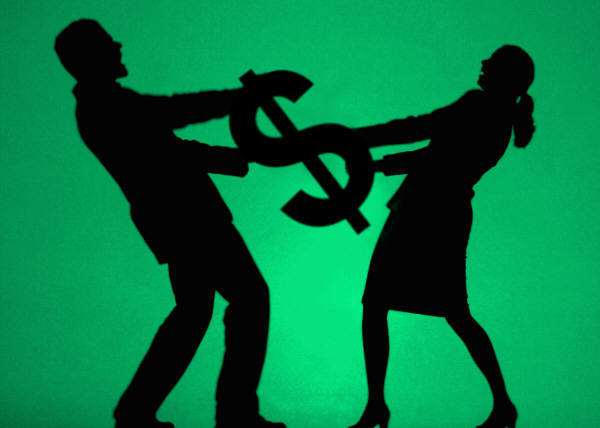 Women especially tend to derive their value from relationships, which makes them particularly susceptible to catty-ness (judging other women to boost their own rankings in the group) and challenged when it comes to asking for pay because asking for more money may make you look like a greedy you-know-what and then you won’t be accepted by the group. Jonathan Haidt points out in The Righteous Mind “Anyone who values truth should stop worshipping reason.” Financial decisions are emotionally driven; we have such a strong urge and even need to be part of the group because otherwise how would we survive? (No one actually asks themselves this, at least not out loud.) We don’t need areason to feel this way; it is a truth. As people become more and more financially affluent, they have the luxury of becoming more independent. This has led to multiple generations not living in one home as before (as was probably the norm throughout time) which has caused the need for child care, housekeeping services and care for the elderly, all of which cost even more money. (And causes many a beautiful neighborhood to fall into neglect as the money moves to a bigger house, with fewer people living in it, in a different area.) But on the bright side we don’t have to put up with each other’s idiosyncracies (a euphemism for B.S.). But you know what? Americans, who possess more wealth per capita than any other people on the globe, are also becoming increasingly depressed. Why? We’ve traded much of the problems we experienced being part of an extended family for money and independence, which leads to isolation. And soon, without our group, life begins to lack meaning. This is a recipe for depression. My mother used to have a saying, “Aggravation is stimulation.” Like I said, she was always right. So we can spout off adages such as Will Smith’s “Too many people spend money they haven’t earned, to buy things they don’t want, to impress people they don’t like,” and “like” people’s Facebook posts about not caring what other people think, but let’s be really honest with ourselves: We need to be liked, valued, respected and admired. We need money; we need it to fit in. 0 responses on "Featured Blog: Money’s Job is to Help Us Fit In"